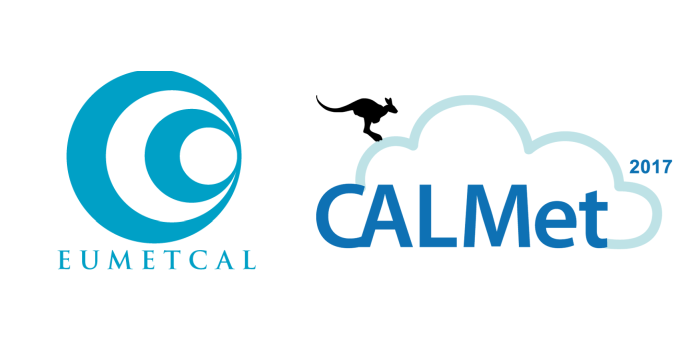 The joint CALMet XIII & Eumetcal Conference 2019 will be an event that brings together educators, trainers and managers from universities, research institutions, and National Meteorological and Hydrological Services. 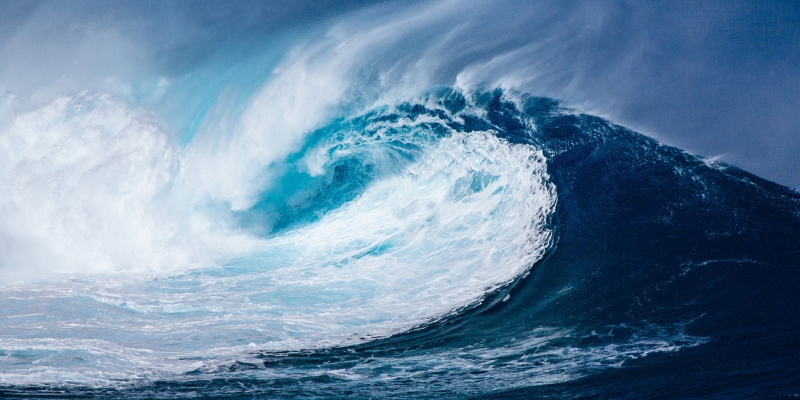 It will provide an opportunity for a community from around the world to collaborate and network on workforce development in support of the global weather, water and climate industry. During the forum participants will share experiences, expectations, and new ideas for applying emerging technologies and strategies in meteorology and hydrology education and training. The Theme - Preparing the weather, water and climate workforce for tasks of the late 2020s. 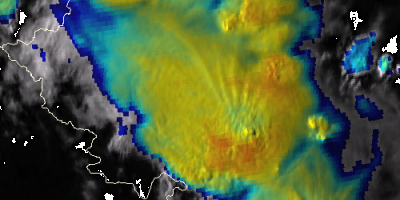 How forecasters can benefit from satellite data and radar data, in relation to cloud microphysics. 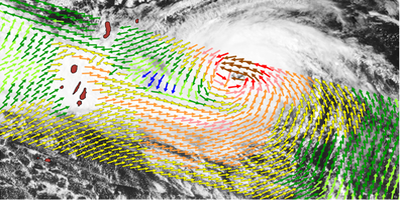 Interpretation of RGB satellite images with a reference to cloud microphysics. Important cloud microphysics processes in water clouds, ice clouds and mixed clouds, for the forecaster. The state of research of the influence of cloud microphysics for climate change. 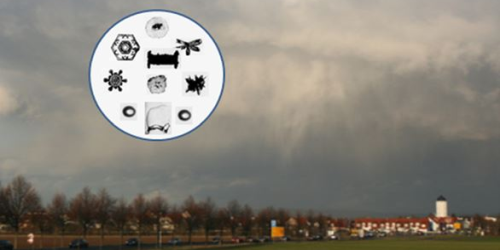 Influence of aerosols on the building of clouds and the formation of precipitation. New model ICON-ART, which considers the input from different aerosol types. EUMETSAT invites National Climate Services, Regional Climate Centers, universities and any other interested entity of EUMETSAT member states and WMO RA VI to nominate candidates for the 2019 EUMETSAT Winter School on Using Satellite Data for Climate Services. The key objective of this course is to instruct scientific staff, and early career scientists with an interest in climate monitoring, in the use of EUMETSAT climate products for operational climate monitoring and climate research. Participants will learn how to handle EUMETSAT climate products, focusing on CM SAF and LSA SAF data, using free software tools R, R-Instat and QGIS. They will also explore the opportunities to use CM SAF and LSA SAF data to fulfil and improve their institute’s services and research. Apply online via the Training Zone until 9 January 2019. Those selected will be informed by 25 January 2019. Selection will be based on the level of experience and relevant area of responsibility. Registration is now open. For further information please refer to the EUMETSAT webpage. The course aims to improve the quality of marine safety warnings and nowcasting in Europe, through better use of satellite and model data. It will be run between late March and May, 2019. Identification of potentially dangerous conditions over the ocean. Scatterometers and Altimeter products — advantages and limitations. A Quick Guide on Sandwich products was added to the suite of Quick Guides on standard SEVIRI RGB types. The aim of the Quick Guides is to help users (weather forecasters and/or other experts) to understand and use these composite images by giving them the most relevant background information and examples. The new guide contains examples of the cloud top features which can be observed in sandwich images, guidelines, physical background, benefits and limitations. The new Quick Guide can be accessed at the EUMeTrain website. Since 2016 EUMeTrain has been developing online simulators that can be used as an exercise in forecasting, and for understanding the work of a forecaster on shift. The period from April to October is the most favourable part of the year for convection in Europe. Different types of convective systems may occur during that period, such as single and multi-cell storms, squall lines or super cells. These phenomena can be hazardous, causing a lot of damage and even, in some cases, fatalities. It is very important that forecasters issue warnings as soon as possible so people can take immediate action. In this new simulator one can practise forecasting convection in the Carpathian Basin. The simulator can be accessed at the EUMeTrain website. 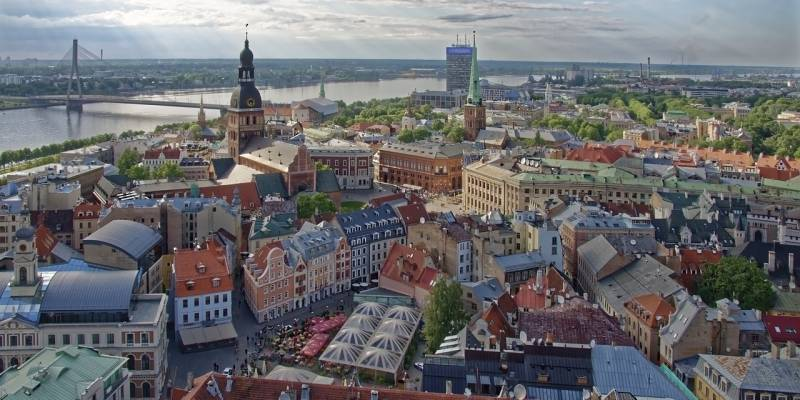 The 12th Eumetcal workshop was held in Riga, Latvia from 28–30 August, in conjunction with the Latvian Environment, Geology and Meteorology Centre (LVGMC). The workshop gathered together 40 participants from 22 different NMHSs. The first day focused on visualising training processes and processing new solutions and approaches. The second day had two different workshops, a morning workshop on Facilitation Skills and an afternoon workshop on ABC Learning design. The last day included presentations from, and to, the training community. The workshop planning and facilitation was done together with a team of training experts from WMO, LVGMC, EUMETSAT, Vlab and ENM Meteo-France. With their very valuable support, and the engament of all of the participants, the workshop was a success and inspiring for the trainers and trainer managers that attended the event. In cooperation between the DWD, EUMeTrain and Eumetcal, a blended course about satellite meteorology was held from 1 October to 23 November 2018. Eight topics were covered during the online phase (self-study, interactive live presentations, playground sessions, asynchronous training, short tests and homework for students) followed by a one-week classroom phase at the training centre of the DWD in Langen. Two students groups were defined: a) online participation, b) participation in the online phase and the classroom phase. This enabled more people to join the course. Six trainers prepared course material for self-studies, held online lectures, guided the students during their work with tests and homework, and evaluated the students' work. During the classroom phase five trainers trained the students with the main emphasis being on exercises and group work. The course content was in accordance to the WMO-requirements "No 1083, BIP-M". All students had to prove their skills by delivering homework, exercises and quizzes of high-quality, before receiving a certificate. Although all the students of the classroom part succeeded, only 25% of the online students achieved sufficient results. Inthe future, a redesign of this course is foreseen, which will include more emphasis on working with data from the Meteosat Third Generation satellites. The EUMeTrain Marine Event Week 2018 ran between 5 and 9 November, and offered 14 online talks on different subjects. The sessions were provided by experts from ECMWF, NOAA, KNMI, SMHI, IMO, Met. Norway, IPMA and EUMETSAT. The lectures were broadcast using the WebEx Training Center. The online talks were followed by more than 70 attendees, mainly from Europe. All of the lectures were recorded and can be found on EUMeTrain's website. 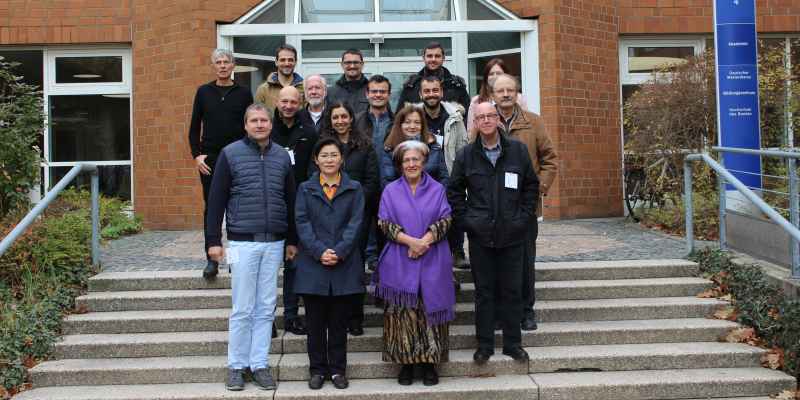 Sixteen agro-meteorologists from Central Asia and Russia, met in Darmstadt last October to exchange their experiences of using satellite data and products. This was the seventh course since 2012. Previously it’s been held in Guinea Bissau, Niger, Ethiopia, Ghana, Zimbabwe and Hungary. The course was delivered in English and Russian. Sessions contained lectures and hands-on practice on the use of products for evaluation of the crop evolution. The participants also presented their remote sensing capabilities, ongoing projects, as well as their needs for more accurate products. High-resolution data from the Sentinels, for instance, can supply some solutions. The WMO is the main organiser of this series, with support of EUMETSAT, ESA (for Sentinel data) and other partners, such as the Technical University of Vienna and the National Meteorological Administration of Romania. More than 35 young participants of north-eastern Brazil took part in this seminar, based on a double dynamic formula. The first day consisted of presentations by five experts, each followed by discussions on the participants experiences about drought monitoring, risk assessment, and how to transmit this awareness to society. The following two days were for hands-on training on extracting risk estimates from satellite imagery, in particular vegetation indices; precipitation data, and land surface temperatures. Working in both groups and individually, the results focused on data interpretation, and were fully discussed by trainees and trainers. 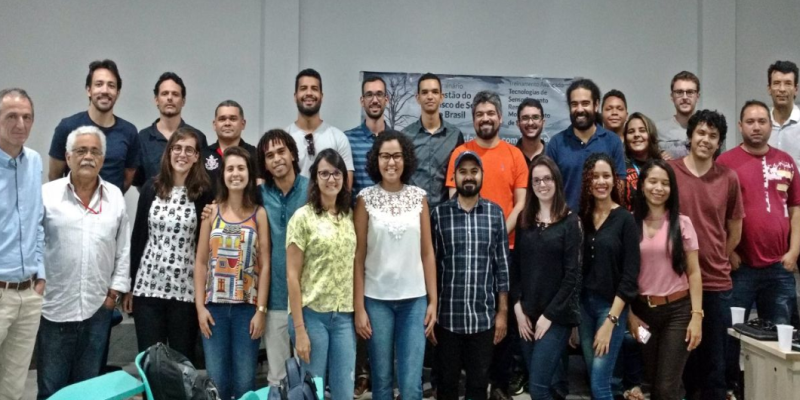 LAPIS, a laboratory for image analysis in UFAL led by Dr Humberto Barbosa, ran the organisation and delivery of the event, which attracted media coverage. Since 2012, drought has been an acute problem in the region, which has been recently aggravated, with a forecast for critical conditions early in 2019. The rainy season in the region covers the months from April to July, although this year it was February and March. Learning to live together with adverse climatic circumstances is the objective of the new local policies and scientific investment. The 2018 EUMETSAT Meteorological Satellite Conference in Tallin was co-organised with the Estonian Environment Agency and attracted more than 400 participants. The conference included a session on future requirements for data supporting aviation services, particularly related to the specific challenges of routing over or near the North Pole, by Air Navigation Services Finland CEO Raine Luojus. Weather forecasting for Baltic or Nordic areas was the subject of a presentation from Gunnar Noer, of the Norwegian Meteorological Institute. 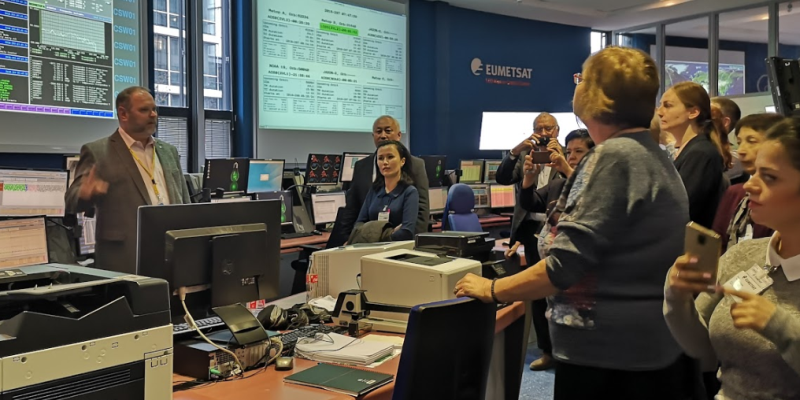 Also high on the agenda were preparations for the next generations of EUMETSAT’s meteorological satellites — Meteosat Third Generation (MTG) and EPS-SG, the successor to Metop. 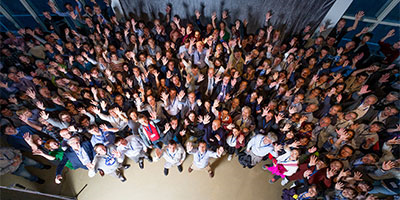 “The EUMETSAT conference is a unique forum for scientists and users of satellite meteorological data from meteorological and other Earth Observation satellites to meet with peers and exchange views,” EUMETSAT Director-General Alain Ratier said. Preparations also began for the next EUMETSAT conference, which will be a joint conference with the American Meteorological Society to be held in Boston in October 2019.